Huawei, OPPO, and VIVO To Enter Smart TV Market Like Xiaomi? ‘I don’t want to be a general chef.’ How often do we hear this sentence? However, agree it is ridiculous. At least, in current diversified business, there are many companies really playing the role of cooks, tailors, and generals. For example, everyone thinks Xiaomi is a smartphone company. But Lei Jun and Xiaomi have never been positioned so. Xiaomi’s business has also involved multiple industries, and it was enough to open a department store. As for now, we learn that other smartphone companies will enter new areas. Huawei, OPPO, and VIVO are said to have designed smart TVs to seize more Internet traffic portals. Recently, it was reported that Huawei, OPPO, and VIVO are evaluating the TV market. It is likely to announce the official entry into this niche in the nearest future. Considering that these three companies account for about 70% of the domestic market share, once they enter the TV industry, they will have a very big impact on the market. However, when VIVO was asked about this, the company said ‘this is only a rumor and there is no such news inside the company.’ Of course, VIVO’s main business is still smartphones. But where there’s smoke, there’s fire. Apart from this, it still sounds believable Huawei, OPPO, and VIVO will begin focusing on the TV industry. The truth is they can start making smart TVs when they want. It’s also quite reasonable. 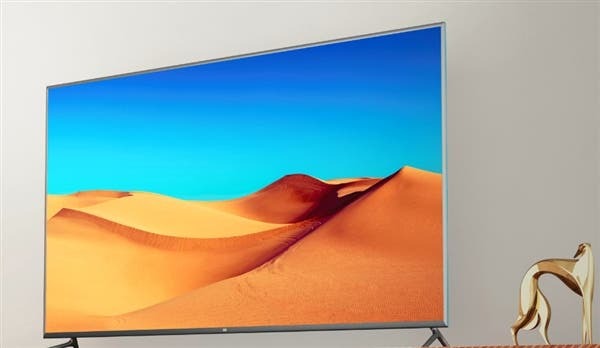 When looking at the crazy results provided by the Xiaomi Mi TV, we understand those companies may have a goal to seize more internet traffic portals. With the saturation of the smartphone market, it is normal for the leading companies to find new areas. Huawei, OPPO, and VIVO have proven they have no equals in accumulation in system UI and software applications, and hardware adaptation. But on the other hand, there is no shortage of large-size LCD panels and foundry companies in China. So maybe this is not the best niche they want to enter. We mean the competition is too high here as well. Many home appliance companies are actually designing smartphones. For example, Hisense, Haier, Konka, and others are making smartphones. So why the smartphone makers can’t enter the TV market?